Still the 20-ton class standard, the new Cat 320 raises the bar for efficiency with integrated Cat Connect Technology that advances productivity gains. Standard technology combined with lower fuel and maintenance costs deliver low-cost production in medium- to heavy-duty applications. 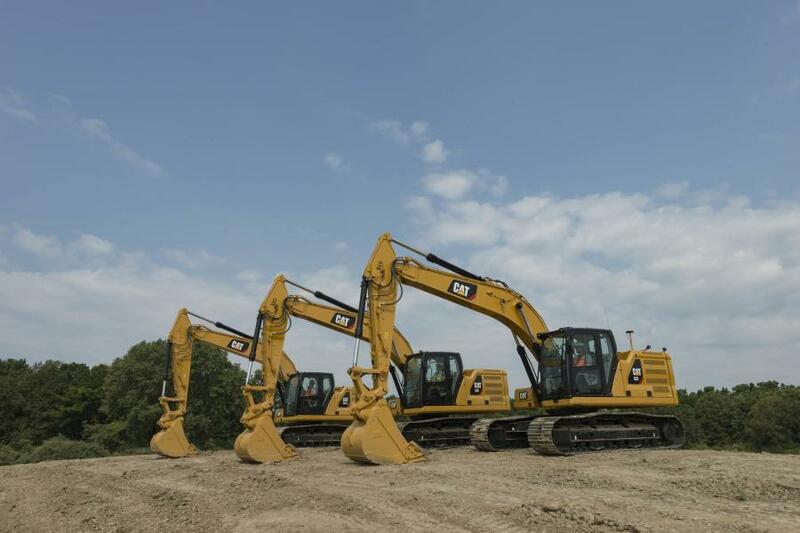 Three Next Generation 20-ton size class excavators from Caterpillar—the 320 GC, 320 and 323—increase operating efficiency, lower fuel and maintenance costs, and improve operator comfort compared to previous models. The new excavators offer unique combinations of purpose-built features designed to match customers' productivity and cost targets. Designed for low- to medium-duty applications, the new Cat 320 GC combines the right balance of productivity features with reduced fuel consumption and maintenance costs. The result is high reliability and low cost-per-hour performance. Delivering high production performance, the new premium Cat 323 boasts standard integrated Cat Connect Technology and the most power and lift capacity in the line. These features combine with lower fuel consumption and reduced maintenance costs to deliver maximum productivity at the lowest cost. The new Cat 320 and 323 boast the industry's highest level of standard factory-equipped technology to boost productivity. Both models are equipped with integrated Cat Connect Technology, which increases operating efficiency by up to 45 percent over traditional grading operations. 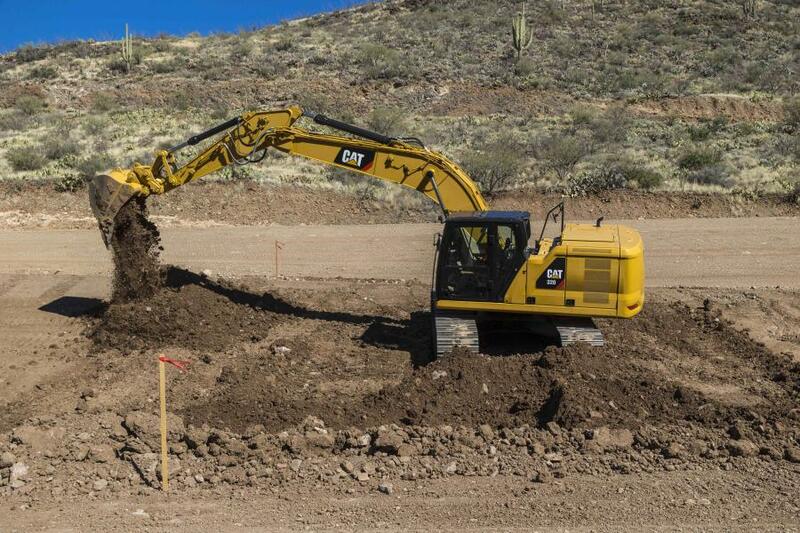 Offering guidance for depth, slope and horizontal distance to grade, the Cat Grade with 2D system helps operators reach desired grade quickly and accurately. Using the system's E-fence feature enables the machine to work safely under structures or near traffic by preventing any part of the excavator from moving outside operator-defined set points. The standard 2D system can be upgraded to Cat Grade with Advanced 2D or Cat Grade with 3D. Standard Grade Assist automates boom, stick and bucket movements, so operators stay on grade simply and effortlessly with single-lever digging. Cat Payload on-board weighing, integrated on the Cat 320 and 323 at the factory, delivers precise load targets and increased loading efficiency with on-the-go weighing and real-time payload estimates without swinging to prevent truck over/under-loading. Cat LINK™ hardware and software connect jobsites to the office and provide customers with machine-critical operating information. Durable Cat engines provide duty-matched power ratings from 121 to 162 hp (90 to 121 kW) for the three new excavators. The efficient Next Generation machines consume 20 to 25 percent less fuel than the previous, corresponding models. New Smart mode operation automatically matches engine and hydraulic power to digging conditions, optimizing both fuel consumption and performance. Engine speed is automatically lowered when there is no hydraulic demand to further reduce fuel usage. More efficient than single-fan systems, the new cooling system employs multiple electric fans, which independently monitor hydraulic oil, radiator and air-to-air aftercooler temperatures to deliver the exact airflow required. With a new hydraulic system built for responsiveness and efficiency, the Cat 320 GC, 320 and 323 feature a new main control valve that eliminates the need for pilot lines, reduces pressure losses and lowers fuel consumption. 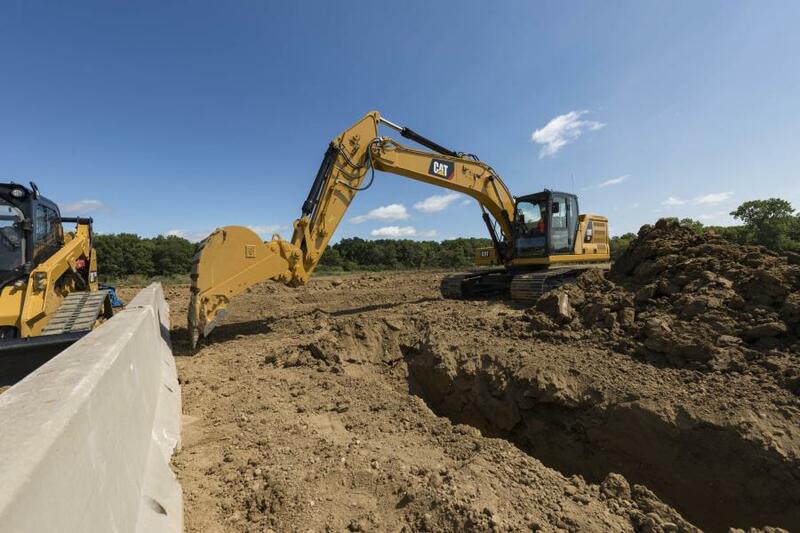 Fewer hydraulic lines on the excavators result in 20 percent less oil required, lowering long-term operating costs. Offering extended and more synchronized maintenance intervals, the new Cat excavators do more work at a lower cost and reduce maintenance costs by up to 15 percent over the previous series. Featuring higher dirt capacity, the new Cat hydraulic return filter boasts a 3,000-hour service life, a 50 percent increase over previous filters. A new Cat air filter with integrated pre-cleaner and primary and secondary filters extends service life to 1,000 hours, a 100 percent increase over previous designs, while a new fuel tank cap filter extends service life to 2,000 hours. The three fuel system filters each offer a 500-hour service interval. All daily maintenance checks for engine oil, fuel water separator, fuel tank water and sediment, and cooling system level are performed from ground level, making the routine faster, easier and safer. Consolidated filter locations reduce service time. All Next Generation Cat Excavator cabs come equipped with standard features like keyless push-button start, large standard 8-in. (203-mm) touchscreen monitor with jog dial keys for control and sound-suppressed rollover protective structures (ROPS) to offer the next level of operator comfort, safety and quiet operation. Programmable joystick buttons for response and pattern allow the operator to dial in productivity settings. New advanced viscous mounts reduce cab vibration by up to 50 percent over previous models to reduce operator fatigue. Equipped with a choice of Comfort, Deluxe or Premium cab packages, the new spacious cab features a low-profile design and large front, rear and side windows to enhance visibility to the front and side of the excavator. Optional 360-degree visibility combines images from multiple machine-mounted cameras to enhance the operator's sight-lines in all directions. Automatic climate control maintains internal cab temperature settings, regardless of external ambient temperatures. A Bluetooth integrated radio with USB ports for connecting and charging phones bring creature comforts from the home to the operator's office. A tilt-up console for the Deluxe and Premium cab designs affords easy cab entry and exit. For more information about Cat Next Generation Hydraulic Excavators, contact the local Cat dealer or go to www.cat.com.